Jennifer is Director of the Institute for Nursing and Interprofessional Research at Children’s Hospital Los Angeles. Dr. Baird is a pediatric nurse scientist whose clinical background is in the pediatric intensive care unit, where she worked with children from birth to late adolescence and families from a wide variety of backgrounds. Prior to becoming a nurse, Dr. Baird trained as a clinical social worker with an emphasis on early intervention, early childhood special education, and support of families with young children. Her passion is in improving systems of care to promote family engagement, with a particular focus on communication among healthcare providers and families. Dr. Baird holds a PhD in nursing from the University of California, San Francisco, and an MPH in Clinical Effectiveness from the Harvard T.H. Chan School of Public Health. Head of Global Diversity, Inclusion and Belonging at LinkedIn. 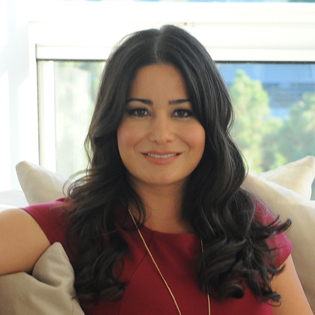 Rosanna is considered a thought leader, strategist and business influencer. Her orientation toward diversity and inclusion enables solutions that drive talent engagement, business growth, customer satisfaction, thriving partnerships and empowered communities. As the leader of Diversity, Inclusion and Belonging at LinkedIn, Rosanna is leading a team who focused on creating economic opportunity for every member of the global workforce. Rosanna has held several leadership roles prior to joining LinkedIn, including serving as CEO of AEQUUS Group, Rosanna led an organizational consulting practice designed to empower adaptive emerging leaders. Through executive coaching and personal network analysis, I coached women and people of color to achieve new thresholds of leadership and successful career progression within “Fortune 150” companies. Operating from a different philosophy on talent and leadership, Rosanna's practices have been cited in several publications, including the books Chasing Stars: The Myth of Talent and the Portability of Performance by Boris Groysberg, Princeton University Press (2010), and Latinos in College (2010) and Poder de Mujer (2012), along with the English translated Find Your Inner Red Shoes (2012) by Mariela Dabbah. 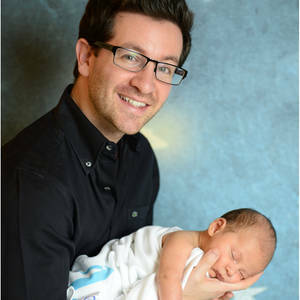 Jonathan is a pediatrician and the Chief Medical Officer and VP, Innovation for the Center for Youth Wellness(CYW). Known for transforming pediatric primary care for underserved families, his work includes leading integrated, trauma-informed care models and novel health and wellness innovations and technologies to scale and sustainability. Dr. Goldfinger’s teams have jumpstarted successful collaborations across many entrenched healthcare and community silos by combining cultural humility and research with clinical innovation, big data, technology, and strategic partnerships. Prior to CYW, Jon served as ZERO TO THREE’s Chief Medical Officer and before that, National Director of HealthySteps(HS). The new HS National Office under Dr. Goldfinger grew HS from 74 practices in 13 states to over 120 practices in 20 states, Washington, DC, and Puerto Rico; began serving our nation’s military families at Department of Defense facilities; developed a successful business case for value-based payment from diverse (Medicaid, commercial, and health system) payers; and secured over $50 million in public and private funding, all in under 2 years. Dr. Goldfinger’s other notable healthcare innovations includeLos Angeles’ only Breastfeeding Medicine Center where women and children receive integrated lactation support, maternal depression screening, and pediatrics primary care regardless of income, and the world’s most comprehensive, free breastfeeding support app,latchME. Vice President of Peer Advocacy, Supports, and Services. Patrick has worked as a mental health advocate for the past twenty-four years. His areas of expertise include peer provided services, self-directed care, recovery based trainings, organizational development, and management and sustainability. Patrick received MHA's highest honor, the Clifford W. Beers Award in 2012, and a SAMHSA Voice Award and Eli Lilly Reintegration Lifetime Achievement Award in 2014. He is the former Executive Director of the Florida Peer Network and has assisted in the development of numerous peer-run programs and organizations. Patrick is a strong supporter of the inclusion of mental health consumers in all aspects of the behavioral health system. Desirée is a licensed social worker, perinatal psychotherapist, trained birth doula, Reiki practitioner, and owner of Postpartum Recovery helping women decipher the funk of motherhood through her practice in Baltimore, MD.Additionally, she serves as a diversity committee member for Postpartum Progress, a Maryland co-coordinator for Postpartum Support International and her practice is a Perinatal Safe Spot through the National Perinatal Task Force. Raul is a Southern California native who serves as a contract patent attorney. Raul lost his wife Kelly Abraham Martinez to postpartum psychosis in 2010, just 3 months after the birth of their daughter. He brings the perspective of loss, the hispanic culture, and both an appreciation of out-of-the-box ideas and the need to focus on what will make an impact to the Influencers advisory board. George is an expert in marketing, sales, business development with a special interest in market shaping and forecasting, lifecycle planning, start-ups and new product launches. He has a talent for building strategic alliances, including leveraging thought leaders, voice of the customer and executive management. George resides in Los Angeles, CA. Clare Schexnyder is the founder, CEO and co-owner of Oh Baby! Fitness. The company, founded in 2005, offers the widest variety of pregnancy and mom & baby exercise classes in the USA. They also offer the world's leading pre/postnatal fitness instructor training. Oh Baby! Fitness has trained thousands of instructors in 44 states and 15 countries. Clare was a producer at CNN for 17 years before she came to the fitness industry. She is the proud parent of a teenager and lives in Atlanta with her family. She is certified by AFAA and SCW Fitness in group fitness and is the co-author of Oh Baby! Fitness' own pre/postnatal instructor training. Melanie has held various roles at Zuckerberg San Francisco General Hospital and as faculty within the University of California, San Francisco Department of Psychiatry. Her primary focus is health services research and programmatic development in the area of perinatal mental health as a mechanism to interrupt the inter-generational transmission of stress and reduce health inequities. In addition to her current role as Director of the Solid Start Initiative, she has served as the Principal Investigator for several community-engaged research projects related to the development, implementation, and evaluation of mental health and other psychosocial services for pregnant women and families with children 0-3. Dr. Thomas has been recognized as an expert in perinatal mental health through presentations at a variety of national conferences including the American Public Health Association, the American Psychiatric Association, and the World Congress on Developmental Origins of Health and Disease. Dr. Thomas is the Principal Investigator on a recent Research Engagement Award proposal to the Patient Centered Outcomes Research Institute. Shireen Thor has had a successful career spanning nearly 15 years as a medical device design engineer and product marketer and Big 3 business consultant solving incentive compensation problems for big brands. After running $25M plus product P&Ls and working with large companies like Accenture, Össur and CareFusion, Shireen wanted to do more, and have more independence in her professional endeavors. She is currently the CEO and Co-Founder of Maria Shireen® a functional fashion accessories company headquartered in San Diego, CA. Though the company only launched in 2015, they already have distribution in over 45 countries. Her flagship patent protected product has been featured in over 100 fashion and beauty print, online publications, and national broadcast. Since July 2016, Shireen has been awarded 5 utility patents, 8 design patents, 10 trademark registrations and won the Red Herring North America Top 100 and was a Retail Innovation finalist. Shireen combines a positive and thoughtful leadership style to what is becoming a major brand in functional fashion and wants to redefine versatile accessories for every occasion and design solutions for everyday life that complement an individual’s personal style and interest. The brand also has a dedicated celebrity following which includes Gabby Douglas, Candace Cameron, Lauren Makk, Chrissy Teigen, Brandy and many others. In addition, Maria Shireen is actively involved in a number of social good initiatives through its CHARITY TIES™ program which supports non-profits like Bright Pink and the National Coalition for Maternal Mental Health (NCMMH). Shireen grew up in Southern California where she was a competitive cheerleader and even made a cameo in the cheerleading blockbuster Bring It On. A diehard Wolverine, Shireen graduated the University of Michigan where she majored in Industrial and Operations Engineering with a Mathematics minor. Shireen makes her home in San Diego, California with husband Arni and their son, Tristan Alexander. Kim is a serial entrepreneur with over 20 years experience as a founder of socially conscious businesses that advocate for women, health, and the environment. She focuses on birth as a pathway to empower and educate families, and has served on several nonprofit boards. Currently, she is founder and chief collaborator of Best Ever Baby. Kim's work has been featured in publications including WWD, Real Simple, Fit Pregnancy, Huffington Post, and on-air by the CBS Early Show and Good Morning America. Amanda Yeaton-Massey is a Maternal-Fetal Medicine specialist with a passion for maternal mental health. After her own experience with postpartum depression, Dr. Yeaton-Massey redirected her academic focus to increasing awareness and improving diagnosis and treatment of mental health disorders in pregnancy. Dr. Yeaton-Massey received her MD at the University of California, San Francisco (UCSF), then went on to complete a residency in Obstetrics and Gynecology followed by a fellowship in Maternal-Fetal Medicine at Stanford University. In January 2019, she will be joining the faculty in the Department of Obstetrics, Gynecology & Reproductive Sciences at UCSF as an Assistant Professor of Maternal-Fetal Medicine. Dr. Yeaton-Massey lives in the Bay Area with her wife and their two children.